Internet is penetrating into all of the spheres of our daily lives day by day, and we’re facing a problem of our personal sensitive data storage and protection. People want to be sure, that such personal information as their passports, contracts, electronic health records, genetic or biometric data, login details are stored safely and can be sent to another person absolutely discreetly and anonymously without any risks of being intercepted or stolen. Cehtralized platforms can’t provide that desirable level of security therefore their users are constantly exposed to risks. Blockchain technologies have completely changed the situation. A blockchain network has a lot of advantages. First of all, it’s not owned or hosted by an individual or an organization, that’s why it can’t be manipulated and there can’t be failure as well as hacking. Any fraudulent activity can be quickly traced and discarded from the chain. No one else except for the sender and the recipient can access the data sent across the blockchain. Blockchains offer full transparency of the transactions carried out on the network while keeping the privacy of its users safe through pseudonymity since only the transacting addresses are shown. The P2P nature of the blockchain means that there’s no need in intermediaries, users interact directly with each other. Any confirmed transaction on the blockchain is irreversible. The advantages of the blockchain have become the fundamental principles of the DIW network. This is a project that will organize all the aspects of human activity in one place. DIW or Digital Identification Wallet is a personal decentralized service which enables registered account holders to securely store and access sensitive encrypted data such as identification documents, passwords, credit cards, bank details and so on. Besides, the platform allows to securely share these data between users. DIW is also going to develop and supply its own Hardware Wallet which will ensure maximum security to premium members. Along with it, DIW is intent on introducing the DIW token, which can be used by account holders to transact with each other. DIW holders will also be able to initiate transactions based on pre-specified terms. To crown it all, DIW will introduce Payment Gateway that will allow businesses and individuals to pay or be paid in all major fiat money together with cryptocurrencies. It’s a new, secure medium to website owners to accept payments. In addition, DIW’s payment gateway will allow buyers to login within sellers’ websites via their DIW account. So there will be no need to create an additional account, provide the seller with contact details and other necessary information, so payments will be automatically provided and assured by the DIW network at the time of check-out. That will make ordinary e-commerce operations much faster, safer and easier. Another useful feature of the DIW platform is a rating system for all account holders which is going to be built according to the account holder’s data quality and KYC/KYS related data quantity confirmed and shared between DIW community members. Only trusted profiles will be allowed to the DIW Global Directory. This system is extremely important nowadays, because we all want to know whether we can trust someone we deal online. Due to a large number of fake accounts people trust exclusively only large organizations. That’s why small businesses have a little chance of success in the network. DIW’s Global Directory solves all these problems. 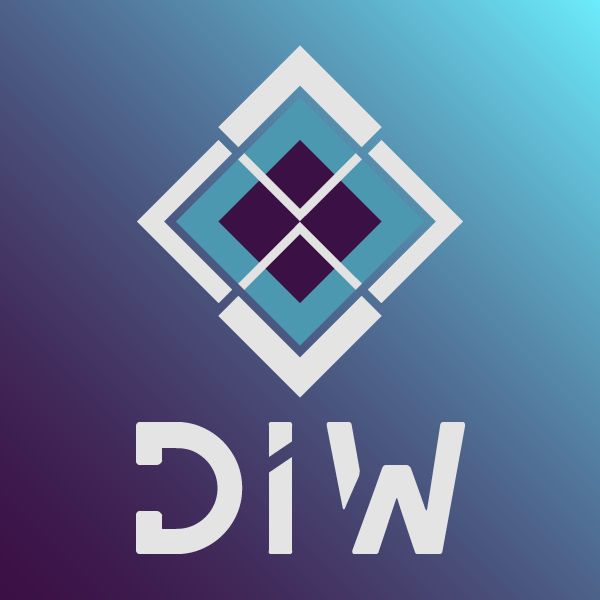 The DIW platform can operate as the smart contract-based escrow that protects transactions and raises trust between participants of the contract therefore making this platform a safe place to do business on. DIW encompasses the medical world too. It’s going to save, track, transfer and provide access to encrypted personal Electronic Health Records (EHR). Only DIW account holders can access EHR and control who sees their EHR, providing if necessary EHR access to hospitals, laboratories, doctors and other health care professionals. The DIW team reasonably expects research centres to request access to DIW holders’ EHR , by rewarding them with DIW tokens. To my mind, the DIW project unites all the necessary functions to protect virtual lives of their account holders. The global network lacks absolutely secure platforms for sensitive data storage. DIW aims to change it. For some obvious reasons mentioned above DIW is going to be a great helper for businesses or individuals. It will finally become a high-demand intermediary in the sphere of e-commerce and electronic healthcare.